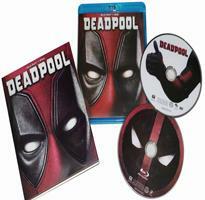 Deadpool 2 Blu-ray DVD: But wait…there’s more! If your second time wasn’t enough, your second, second time will blow you away. The Deadpool 2 Super Duper $@%!#& Cut* gives you even more of everyone’s favorite red-spandexed superhero now with 15 minutes of brand-new action and jokes lovingly inserted throughout. 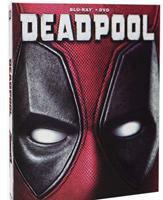 Deadpool 2 DVD: But wait…there’s more! If your second time wasn’t enough, your second, second time will blow you away. The Deadpool 2 Super Duper $@%!#& Cut* gives you even more of everyone’s favorite red-spandexed superhero now with 15 minutes of brand-new action and jokes lovingly inserted throughout. Deadpool Blu-ray DVD: Hold onto your chimichangas, folks. From the studio that brought you all 3 Taken films comes DEADPOOL, the block-busting, fourth-wall-breaking masterpiece about Marvel Comics sexiest anti-hero: me! Go deep inside (I love that) my origin story...typical stuff...rogue experiment, accelerated healing powers, horrible disfigurement, red spandex, imminent revenge. Directed by overpaid tool Tim Miller, and starring God s perfect idiot Ryan Reynolds, Ed Skrein, Morena Baccarin, T. J. Miller and Gina Carano, DEADPOOL is a giddy slice of awesomeness packed with more twists than my enemies intestines and more action than prom night. Amazeballs!